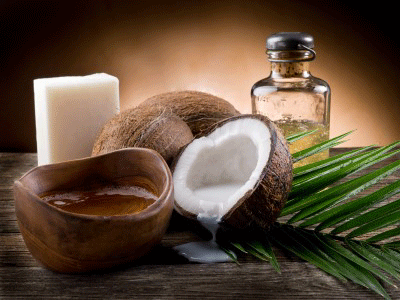 Improving Blood Lipids: Coconut oil consistently improves the LDL:HDL ratio in the blood of those who consume it. Given this effect, coconut oil can nolonger be dismissed for being ‘that saturated fat which clogs the arteries. We have switched the majority of the FATS we use day to day to Coconut Oil. Cold it is solid, warm it is liquid. Excellent for frying – great golden brown with higher heat tolerance so less opportunity to burn. Adds a creaminess to the flavor somewhat like butter. Because it has so many benefits, we even add it to foods like soups, stews, smoothies and we have found them to be more filling and satisfying.